The new range of induction generators by Copreci introduces some new functionalities as the lighted indicator per heater. 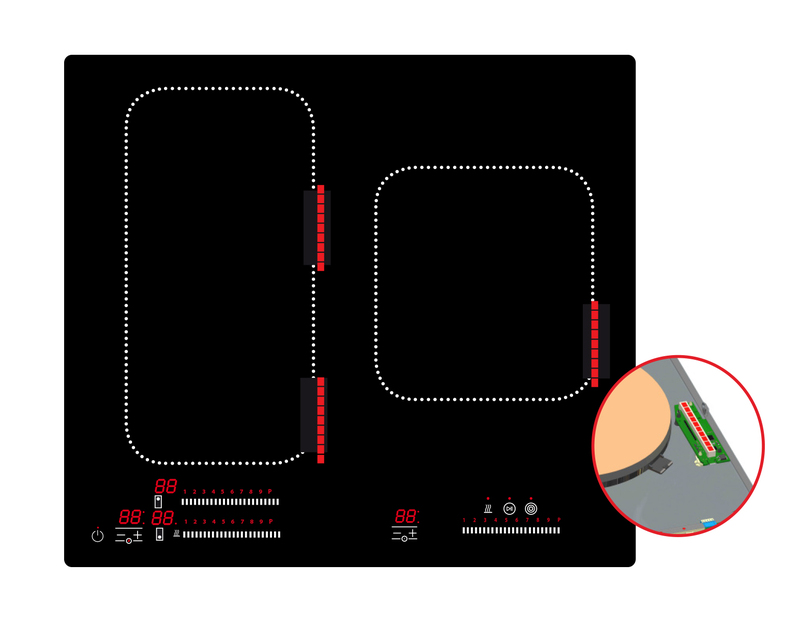 Every heater can be customised with a power indicator display that will show the user the cooking level at a glance, directly visually associating it to the pot you are cooking with. Not only the power level is shown but also any other cooking function enabled at any moment, and even the residual heat. This feature is really useful for everybody, as it gives an additional and precise visual signalization for each heater and it also helps elder people or with sight impairment. These lighted indicators are offered in red colour by default, but they can also be developed in any other colour, as they are implemented with RGB LEDs. Multiple colours provide an easier understanding of the cooking situation: heater level, warning, etc.